Teen advocate and trailblazer Jazz Jennings—named one of "The 25 Most Influential Teens" of the year by Time—shares her very public transgender journey, as she inspires people to accept the differences in others while they embrace their own truths. In her remarkable memoir, Jazz reflects on these very public experiences and how they have helped shape the mainstream attitude toward the transgender community. But it hasn't all been easy. 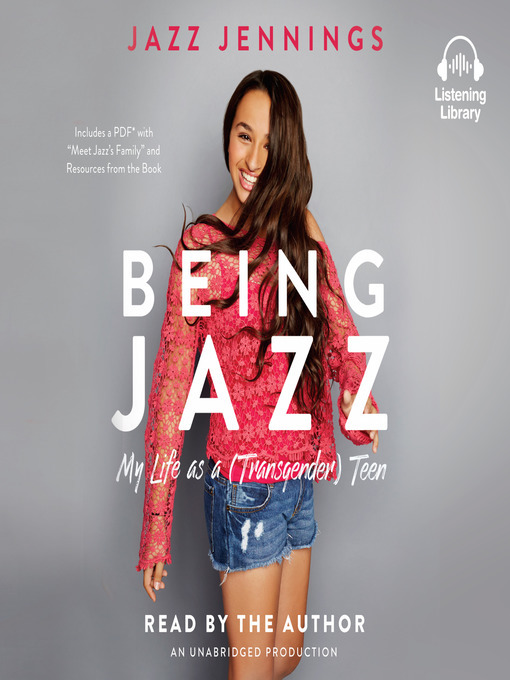 Jazz has faced many challenges, bullying, discrimination, and rejection, yet she perseveres as she educates others about her life as a transgender teen. Through it all, her family has been beside her on this journey, standing together against those who don't understand the true meaning of tolerance and unconditional love. Now Jazz must learn to navigate the physical, social, and emotional upheavals of adolescence—particularly high school—complicated by the unique challenges of being a transgender teen. Making the journey from girl to woman is never easy—especially when you began your life in a boy's body.